The day has finally arrived! We can now mark April 15th as the day that the HTC Incredible, or the DROID Incredible, was announced to be released by Verizon Wireless. 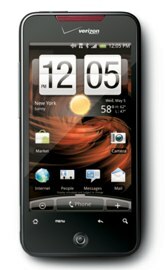 The HTC Incredible (DROID Incredible) will be available in Verizon Wireless Stores on April 29th. However, for those of you who just can’t wait to whip out your credit card to secure your DROID Incredible, you can pre-oder online at www.VerizonWireless.com beginning on April 19th. "We can now mark April 16th as the day that the HTC Incredible, or the DROID Incredible, was announced to be released by Verizon Wireless."